Name: Casino Night at Cambria! 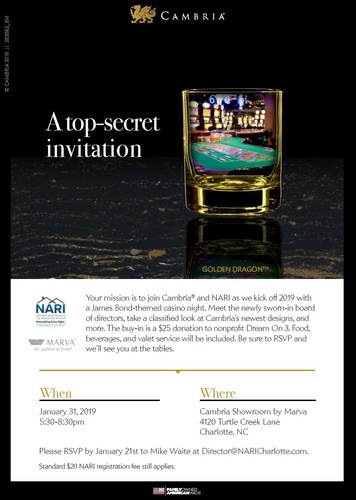 Your mission is to join Cambria and NARI as we kick off 2019 with a James Bond-themed casino night. Meet the newly sworn-in Board of Directors, take a classified look at Cambria's newest designs, and more. 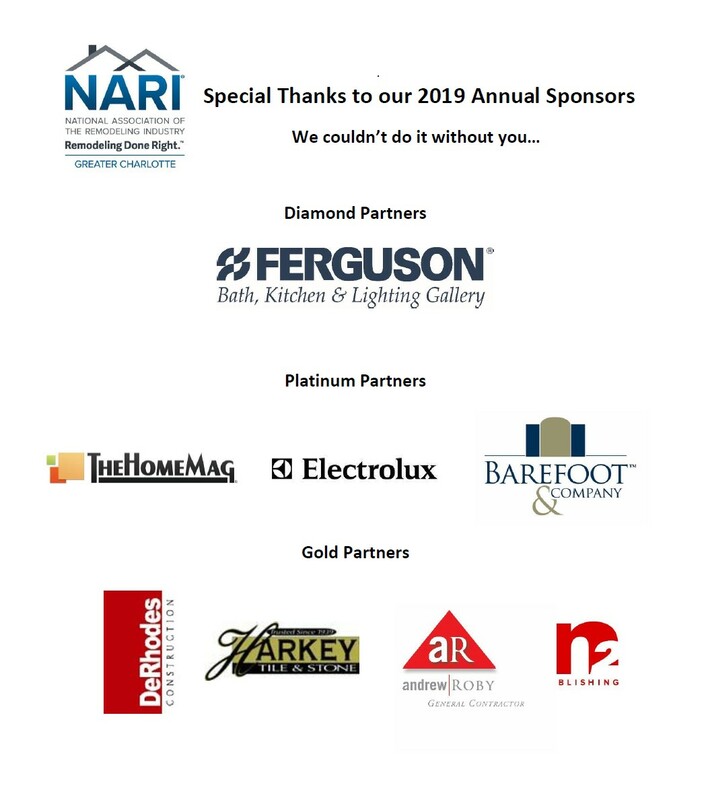 The buy-in is a $25 donation to the non-profit Dream on 3 in addition to the $20 registration fee for NARI. Food, beverages and valet service will be included. Be sure to RSVP and we'll see you at the tables. $20/person registration plus $25/buy in at the door.